In addition to the announcement of the new Nikkor Z mount 14-30mm F4 S lens and Nikon Z6 filmmaker’s kit, Nikon has also informed users that three new pretty significant features are coming to the Z6 and Z7 mirrorless cameras by way of a new firmware update. Fans of Nikon’s Z-series cameras are in for a whole new experience. Nikon is bringing powerful features through upcoming firmware updates. The next Z mirrorless cameras system update will greatly improve image capture and video experience. It will enable support for Eye AF, RAW video, and CFexpress. Nikon revealed this at the 2019 CES taking place in Las Vegas. In its booth, Nikon made known some interesting new features that are coming to the Z6 and Z7 cameras. These features are currently under development. Nikon is adding these new features in line with the feedback from photographers. They will be added to the new Z6 and Z7 firmware update. One of the upcoming updates, the Eye AF function, will enable photographers to achieve super-sharp focusing and capture high-quality images. The feature will enable automatic detection and focusing on the eyes of a subject. Being able to automatically focus on the eyes of a subject is a useful feature. It is great for taking portraits and capturing special events as well as street photography. Nikon also revealed that the upcoming update will also bring support for RAW video to the Z6 and Z7. In order to achieve this feature update, Nikon will be partnering with Atomos. The RAW video will output to a Ninja V Monitor Recorder from Atomos through the company’s ProRes RAW codec. Atomos, the owners of Ninja V Monitor Recorder says that they are excited to partner with Nikon in developing ProRes RAW recording using Nikon’s Z camera series. According to Atomos, this collaboration will expand ProRes RAW to Ninja V which will make Nikon’s Z-series the world’s first true full-frame mirrorless cameras to output raw video. Both brands hope that their products combination will significantly enhance content creation at all levels and across all spheres including social media, professional video production, and entertainment. The third feature update that photographers can expect to see in Nikon Z cameras is support for CFexpress. Nikon is the first camera manufacturer to announce that it is developing future support for the new CFexpress cards. 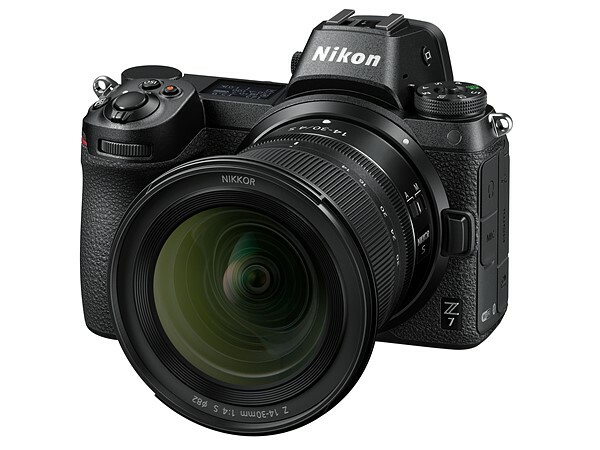 According to Nikon, photographers can also upgrade their XQD cameras to support the next generation CFexpress format by simply updating their firmware to the upcoming version. Many regard the CFexpress as the future of memory cards. The CFexpress format is designed to surpass both XQD and CFast 2.0. ProGrade Digital is one manufacturer that is hoping to get a good head start on the CFexpress. And this company is completely skipping XQD production in order to achieve its goal. At NAB last April, we already saw a 1TB 1400MB/sec CFexpress prototype from them. Nikon added that photographers can expect to see continuous improvements and evolution of its mirrorless Z Series cameras. The camera brand says that it hopes to satisfy the ever-changing user expectations and requirements via continuous development and release of new firmware versions. Nikon will announce the exact details of the upcoming firmware update as well as release dates sometime in the future.